Remote Control and use of an Onshore Operation Center will give numerous benefits and will simplify the way to operate your plant. A human-centered design, taking all elements within PPTO (People, Processes, Technology and Organization) into account, will ensure you get a "fit for purpose" Control Center, tailored for your needs. 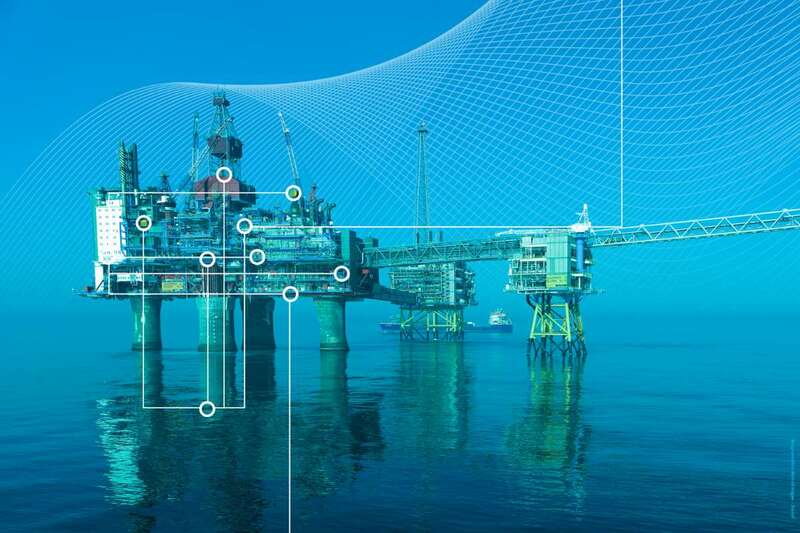 In most offshore and onshore production facilities, there is a great potential to apply digital technologies and work processes to increase production efficiency and plant integrity, while minimising environmental impact and improving the safety of the people involved. To achieve this, an optimum design of the operational environment with respect to human factors, task analysis, and technology is required. Our delivery model for remote and integrated operations covers all aspects of the establishment of operation centers and remote control rooms. The model is based on ISO 11064 and has been proven in-use for several projects. Are you considering a new project? 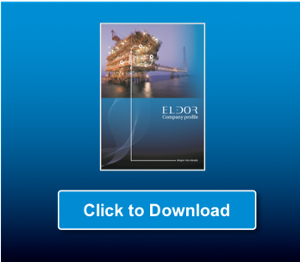 Eldor's delivery model spans from being a digitalisation partner to providing a full EPCI delivery of remote operations and a remote control center. The client may choose how we fit into their project model from adding capacity to taking on the full responsibility for delivery and approval from authorities. For a greenfield project, we recommend to start with developing an operations and maintenance philosophy, and build on business cases. 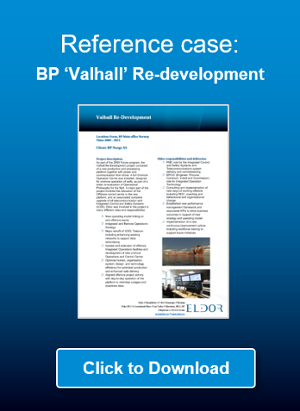 For a brownfield project, a human factors and task analysis may be a good starting point. 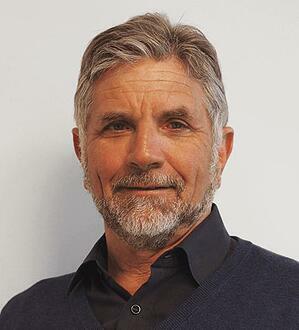 Torbjørn is a lead engineer at Eldor AS working with integrated operations. Torbjørn has been working in the oil- and gas industry in Norway since 2010 and he has experience from being a project manager in projects in this industry and working as a telecom technician. 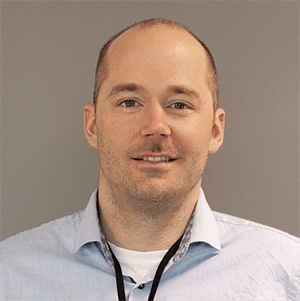 Torbjørn has a bachelor’s degree in Telecommunication Technology from a university college and is finishing an MBA in Technology Management from University of Norland. Per Oscar is the sales and project manager at Eldor AS. Per Oscar holds experience working with business administration, which has given him great knowledge of the value chain in the Norwegian oil- and gas industry, as well as a strong commercial understanding. Per Oscar's expertise includes organisation development, managing and organising projects and corporate activities, along with finance, accounting and administration experience, including HR and IT. Per Oscar has a university degree in Economics and Business Administration Shipping. 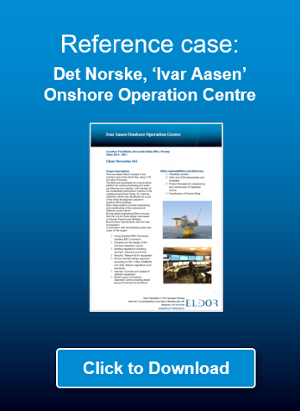 In this project, Integrated Operations are taken to the next level of Onshore Control, with the design of the first Onshore Control room where the main control takes place onshore.